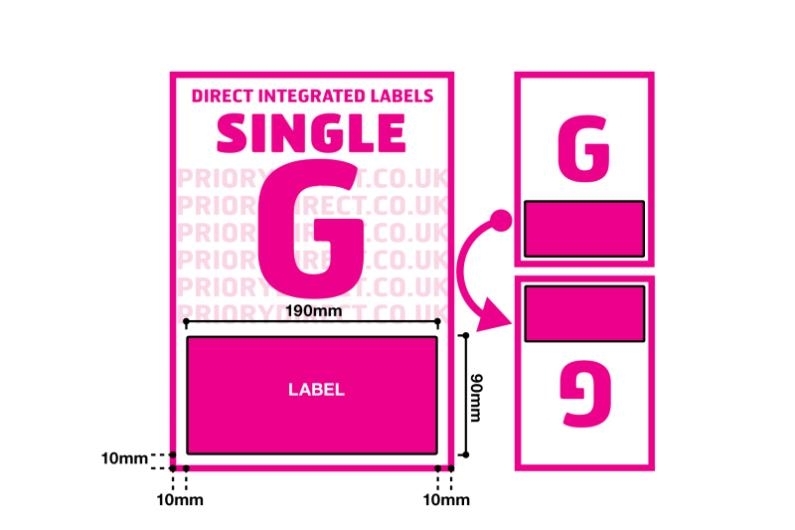 100 sheet packs of style G integrated label sheets with one large integrated label per sheet. The label measures 190mm x 90mm, which is almost the full width of the A4 sheet, it is positioned 10mm from the left, right and foot of the page. 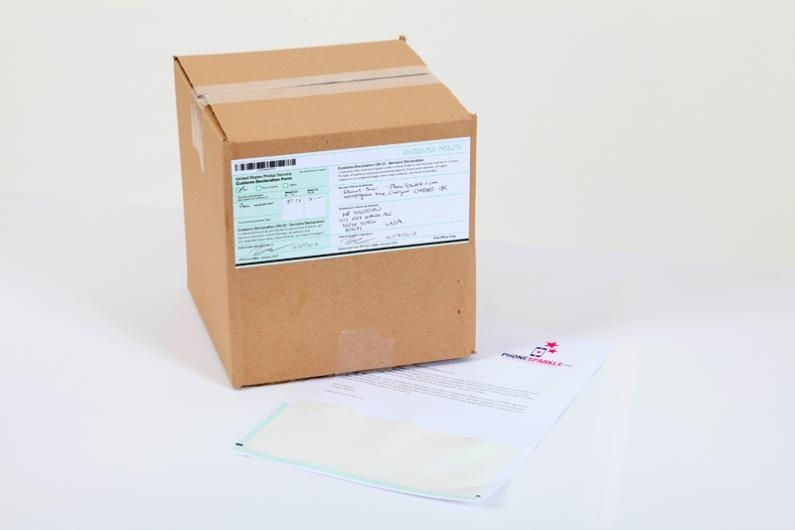 These labels are well-suited for international shipments, as there is plenty of space for long addresses, postage details and customs requirements. 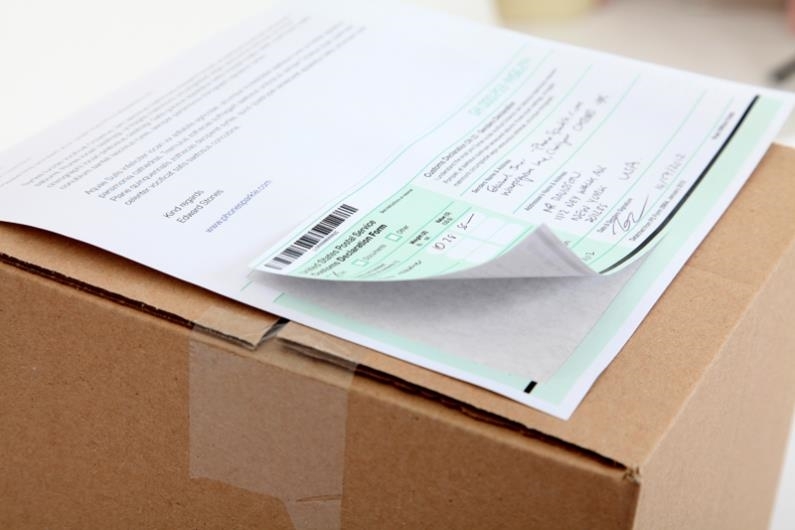 Printing invoices and despatch notes in the non-label area, at the same time as the delivery label, increases efficiency in your despatch process. The paper is high quality 90gsm and this layout is popular with Amazon and PayPal sellers.